If you own two or more vehicles, and use them commercially, it is often beneficial to take out a fleet insurance policy. It is common for these insurance policies to cover from two vehicles; however, this will differ between providers. Fleet owners need to keep a close eye on motor costs, and so the idea behind this insurance is that it is cheaper than insuring each vehicle individually, consumes less time and it is far less hassle to just remember the single renewal date. Fleet cover will ensure that all your vehicles are adequately covered under UK law. It is common for drivers to be at least 25 years old, and have held a full UK driving licence for a minimum of two years. As with traditional motor insurance, policy holders must ensure that all driving convictions and claims history is declared before the policy commences. This type of insurance policy can offer discounted quotes on the number of vehicles you plan to insure and the number no claims bonus years you hold. As with motor car insurance, you can choose from three types of cover: third party only; third party, fire and theft; and comprehensive. Many insurance policies will allow you to have different levels of cover for different vehicles within your fleet, but it is unlikely that you will be able to alter the level of cover once the policy has commenced. Insurers are professionals within the field and will understand common concerns you have, for example it is often accepted that the vehicles may not be kept at the business address overnight as employees often take vehicles home. If this is the case, it is important to ensure that your insurance company are well informed of the address where the vehicle will be kept the majority of the time. fleet insurance policies mean that it often complicated to earn no claims bonuses on each individual vehicle. If you are looking to earn a no claims bonus on each vehicle, it will often depend on the size of your fleet. 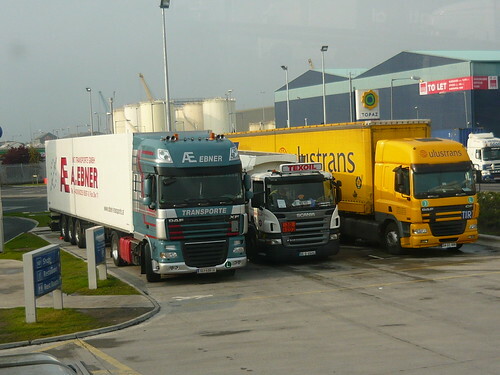 For larger fleets, it is usually more efficient to use a flat rate for all vehicles, therefore all vehicles having the same premium. In this situation, the claims experience of the policy will impact upon the premium for next year and not just claims on the individual vehicles. Whatever you choose to do in terms of your motor insurance, always ensure that your policy covers you under UK law and that you are receiving the most efficient and cost effective cover for you and your fleet.